Rajamouli’s magnum opus Baahubali 2: The Conclusion was a much-awaited movie, and the people of the whole world were just waiting for this to why Katappa has killed Baahubali? Baahubali 2 starts with a recap, Katappa tries to explain Shiva that at what circumstance he made the decision to kill Amarendera Baahubali. The story goes to the flashback at the time when Amarinder Baahubali’s coronation is going to happen in the empire of Mahishmati, people were happy, but Bhallala Deva was furious about it. 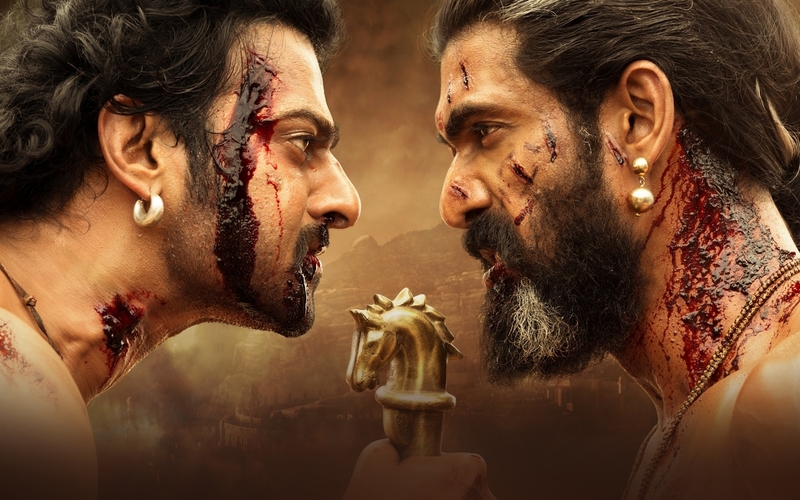 As of this, he plans to kill Amarendera Baahubali with the help of his father; efforts are made to break the relationship between Baahubali and Sivagami.It is better to find out the answer is to go to the cinema and watch it. Well, the story progresses; finally, there is a massive war between Bhallala Deva and Amarendera Baahubali. 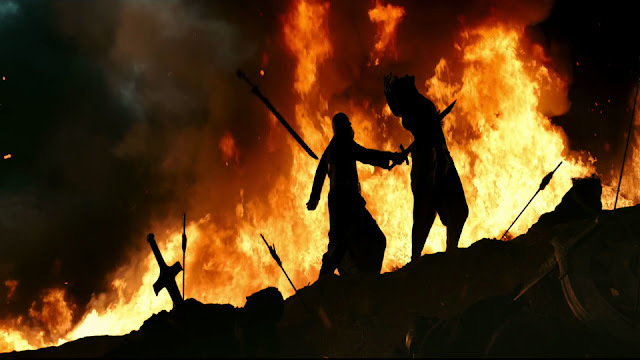 With Mahendra Bahubali killing Bhallala Deva story of Baahubali Part 2 (The Conclusion) comes to an end. The second half is entirely story based and a high octane climax! The story of the film is excellent, which keeps you bound, the screenplay is adamant, and the background score is impressive. The film’s direction is fantastic, VFX is outstanding, which lets you enjoy 3D in 2D. Baahubali 2 is one of the most technically accomplished films ever made in India. This movie is exceptional in every scene, and it’s must watch. The story filled with finest elements and characters. Songs and VFX, War Scenes are Highlight of Baahubali 2! Baahubali 2 is released in 9000 screens globally. 6500 screens in India. Almost, 1100 screens will be opened in USA and 1400 screens for the rest of the world. As it is releasing in IMAX format, the film has seized almost 40 IMAX screens in the USA for its release. Coming to the director Rajamouli Garu, he has surely done India and the film fraternity proud with Baahubali. He has visualized something out of the box and has also succeeded in bringing life to India’s biggest motion picture. Why did Shivagami suddenly announce Bhallala Deva as the king? What is the back story behind her decision? and why did Kattappa kill Baahubali? To know answers to these questions, you need to watch the film on the big screen. Starring: Prabhas, Anushka Shetty, Rana Daggubati, Tamannaah, Ramya Krishnan, Sathyaraj and Nassar.